Thought I'd introduce myself I'm Charlotte, and I just started taking violin lessons in my community college. It's always been my dream instrument. Welcome Charlotte > your in for a treat here.> Lots of things going on>> LOTs of stuff. Welcome to these forums, which I just joined a few days ago. There are lots of videos and aids you can use. In the chat room, they actually talk about music most of the time. If you are just starting out, I highly recommend you get yourself a good private teacher if at all possible. I'm myth, and I'm from Down Under too. This forum and these people are wonderful, so I'm reasonably confident that you will enjoy it here. And I'm a five-day n00b too, so we can all n00b together! Welcome, Charlotte. Join in and make yourself at home here. Nice to meet you, Charlotte! Welcome to the forum! In the chat room, they actually talk about music most of the time. That's true of the forum, too...most of the time. BTW, if you happen to log onto the chat around dinner time, the discussion often turns to food. And, given all the time zones involved with members around the country and the world, it's always dinner time somewhere. Anyway, I'm sure you'll like it here. Keep us posted on your violin progress. Hi Charlotte, welcome aboard! That's really neat that your community college offers instruction for violin, have fun with it and ask away with any questions . It's a great group of folks here! Hi Charlotte... great to have you! Don't forget to post a video early on in the process, it's great to be able to look back and see your progress. Don't worry... there are people here that have one or two days of playing experience. 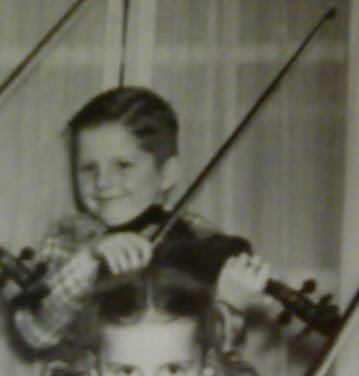 You'll get better and better and have more and more fun with the violin. That's what I'm here for and it's exceeding my expectations! Nice to hear that they offer beginning violin at the community college. Warm welcome here and we're super happy to have you. Welcome to the forum, Charlotte!